Abstract of papers, posters, workshops and other presentations presented at the conference, is available in two forms. Here on the net and as a typeset and printed book available free of charge for all participants. Index of subjects and presentation time. The whole collection of abstracts is also available as one large zipped file in HTML format. Download the file (316K), unzip it and view it with any Web-browser. Shortly after ending of the conference, the conference proceedings will be available. Please check back here to see how to order. We will not make the proceedings available electronically, but only as a typeset printed book. 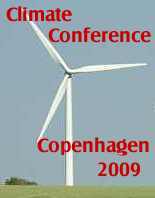 The Conference ifoam'96 was hosted by The Danish Association of Organic agriculture. Simultaneously with the conference an Organic World Exhibition - Expo - was taking place at the area outside the conference in Copenhagen.